Caring for pregnant women whose diabetes antedates pregnancy: is there room for improvement? Hyperglycaemic disorders are estimated to complicate about 15% of pregnancies worldwide, with 16% of these occurring in women with either type 1 or type 2 diabetes . Maternal, perinatal and infant morbidities occur more frequently in pregnancies complicated by type 1 and type 2 diabetes than in those complicated by gestational diabetes . Since the mid-1990s, in parallel with the global increase in all forms of diabetes , regional [3, 4] and national [5, 6, 7] data have demonstrated an increase in the proportions of pregnancies complicated by diabetes. In much of the world, a greater proportion of pregnant women with diabetes antedating pregnancy have type 2 diabetes, and the increase in the prevalence of diabetes during pregnancy is greater for type 2 (111–354%) than for type 1 (33–162%) diabetes [6, 7, 8] . Of greater concern is the change in prevalence of complications of diabetes during pregnancy over time. Population-based studies examining trends in adverse pregnancy outcomes over long periods are sparse and there appears to be some discrepancy in findings. For example, one study  found an apparent decline in neonatal congenital malformations over time while another  did not. Likewise, a decrease in stillbirths over time was previously reported by one research group  but no differences were observed in another study . In another report, a decrease over time in fetal overgrowth has been noted for women with type 1, but not type 2 diabetes . Of concern, however, is that the incidence of these three major adverse outcomes was consistently greater for pregnancies in women who had pregestational diabetes than in women without diabetes during pregnancy [3, 7, 8]. Clearly, there is room for improvement in the care of women with reproductive potential who have type 1 or type 2 diabetes. For a start, there is a need for expansion of population-based health registries , as described by Murphy et al . The report from the UK registry, which captures 155 maternity clinics in England and Wales , data from the Swedish Medical Birth Registry, which captures >98% of births , the Dutch registry, which collects pregnancy information from women with type 1 diabetes from all 118 hospitals in the Netherlands , and the Ontario, Canada database, capturing over 1,000,000 births , have been able to advance knowledge of the burden of disease, show improvements over time and highlight areas that still need work. Registries often collect important data variables that hospital-based databases do not contain, such as HbA1c values, BMI and information on folic acid consumption. Local registries may be of benefit by providing information on the healthcare needs specific to individual regions. Another area for improvement is the recognition that different types of diabetes may require different treatment strategies. Women of reproductive age who have type 1 diabetes differ from those with type 2 diabetes in that the former tend to be younger [5, 8], are less often overweight [5, 6], are less likely to suffer social deprivation  and are more accepting of preconception care than the latter. They are also more likely to have had some measurement of blood glucose levels prior to conception. However, pre-pregnancy, HbA1c values of women who have type 1 diabetes are higher than those of women who have type 2 diabetes . Furthermore, the HbA1c values of women with type 1 diabetes are higher than those of women with type 2 diabetes both early and late in pregnancy . Perhaps related to the latter, neonates of women with type 1 diabetes are more likely to be large for gestational age (LGA) than those of women with type 2 diabetes [7, 8]. Given these differences, rather than treating all women who have pregestational diabetes identically, targeted interventions for women, specific to the type of diabetes, may prove of benefit in improving pregnancy outcomes. The care of the pregnancy of a woman with pregestational diabetes begins prior to pregnancy. Before initiating efforts to conceive, a woman with type 1 or type 2 diabetes should be evaluated and treated for diabetes-associated end organ disease (e.g. hypertension, retinopathy, renal insufficiency and gastroparesis). If present, the patient should be apprised of the risks that these complications may impose on her pregnancy and receive therapies for them that have minimal potential for fetal injury. In addition, since there is a positive relationship between elevated maternal blood glucose levels in the first trimester of pregnancy and the incidence of congenital malformations , commencing care prior to conception is important. Fetal malformations are generated during the period of organogenesis (between the fifth and eighth gestational week)  and, because women with normal menstrual cycles usually first become aware of their pregnancy at the fifth week of gestation, optimising maternal glycaemic control prior to initiating efforts to conceive is in the best interest of the mother and her unborn child as it leads to a lower incidence of congenital malformations compared with unplanned pregnancies . Pregnancy planning requires education about (and consistent use of) a reliable method of family planning. Early in adolescence, young women who have type 1 or type 2 diabetes should be made aware of their family planning choices, risks and benefits of pregnancy and the need for optimal glycaemic control prior to conception efforts . It should be noted that having access to preconception care does not equate to its use . Particularly among women with low income and type 1/type 2 diabetes, the stringent requirements of preconception care may be relegated to a low priority owing to social and economic difficulties, nutritional challenges, psychological disturbances and familial demands . Hence, healthcare providers are charged with providing an empathetic environment, incorporating empathetic and knowledgeable caregivers, to aid patients in mastering the tasks necessary to optimise pre-pregnancy and pregnancy outcomes . Over the past 10–20 years, there have been several developments in the glucose-lowering medications available, their mode of administration and the assessment of maternal blood glucose levels. Insulin has been the mainstay of therapy for women with type 1 and type 2 diabetes during pregnancy. Although limited, the data for the use of insulin analogues in pregnancy demonstrate that use of insulin aspart is associated with reduced postprandial blood glucose levels and a non-significant reduction in maternal hypoglycaemia. It was also shown to result in similar overall glycaemic control and neonatal outcomes when compared with short-acting (regular) insulin . In contrast, a meta-analysis of observational studies using insulin lispro concluded that its use during pregnancy is associated with a decrease in severe maternal hypoglycaemia and a decrease in hyperbilirubinaemia in infants, but it is also associated with an increase in infants born LGA . Of the long-acting insulins, only insulin detemir and insulin glargine have been studied during pregnancy. A randomised trial of insulin detemir in women with type 1 diabetes found it to be associated with reduced fasting glucose levels but similar overall glycaemic control and neonatal outcomes when compared with women treated with NPH insulin , while another small randomised trial showed that it was associated with fewer hypoglycaemic episodes in women with type 2 diabetes and gestational diabetes compared with insulin NPH . Randomised trials of insulin glargine have not been conducted; however, a meta-analysis of cohort studies showed similar neonatal outcomes compared with NPH insulin . Newer insulin analogues may also have benefits during pregnancy; for example, concentrated insulins may be beneficial for women with type 2 diabetes using very large doses of insulin. In addition, the very long-acting insulins (e.g. insulin degludec) may help to reduce the rate of hypoglycaemic events in women with type 1 diabetes. These insulins, however, are yet to be studied during pregnancy. The use of continuous glucose monitoring (CGM) during pregnancy is a relatively recent advent. 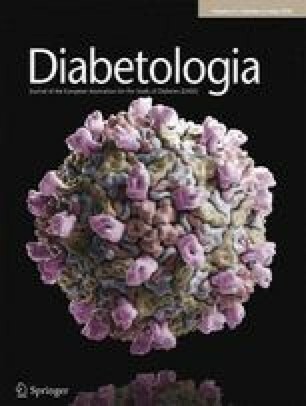 In the non-pregnant population, the addition of real-time CGM to either insulin pump therapy or multiple daily injections in patients with type 1 diabetes has resulted in improved glycaemic control with a reduction in time spent in hypoglycaemia. While one study using masked CGM in women with type 1 diabetes during pregnancy resulted in improved glycaemic control and a reduced number of LGA infants compared with women randomised to standard care , another study of intermittent use of real-time CGM during pregnancy did not result in glycaemic or neonatal improvements . A more recent study, Continuous Glucose Monitoring in Women with Type 1 Diabetes in Pregnancy (CONCEPTT), demonstrated that the use of real-time CGM in addition to capillary glucose monitoring resulted in a greater reduction in HbA1c, more time spent in the target glucose range, less time spent above the target range and reduced blood glucose variability compared with those assigned to capillary glucose monitoring alone. Furthermore, neonatal outcomes were improved, including a reduction in incidence of LGA infants, reduced neonatal intensive care unit (NICU) admissions over 24 h, reduced neonatal hypoglycaemia and reduced length of hospital stay for infants . Despite the improvement in LGA incidence in the CGM group compared with the control group, the rate of LGA continued to be relatively high (53%). The reason for the persistently high incidence of LGA neonates in the CONCEPTT intervention group is unknown but may be explained by the time that maternal glucose was not in the target range (32%) and/or excessive glucose variability. The use of insulin pumps outside of pregnancy is associated with mild reductions in HbA1c, less severe hypoglycaemia and an improved quality of life compared with multiple-dose insulin injections. Unfortunately, none of the earlier randomised trials on their use in pregnancy were able to show improved glucose or neonatal outcomes vs multiple-dose insulin injections . These trials, however, used outdated equipment compared with today’s standards and, therefore, extrapolation to more current equipment is not possible. More recent cohort studies have shown mixed results, with some showing improved glycaemic control and others not. The largest cohort study from Calgary (AB, Canada) found that, although women using insulin pumps had better glycaemic control during preconception and throughout pregnancy, they were also more likely to have macrosomic infants . Randomised trials comparing advanced pump technology with multiple dose insulin regimens during pregnancy are needed. Closed-loop technology, in which the algorithm-determined pump-administered insulin dose is continuously adjusted in response to real-time CGM data, has some promise. In a randomised crossover trial, pregnant women with type 1 diabetes receiving basal overnight closed-loop therapy were able to achieve a greater proportion of time in target glucose range overnight than those using sensor-augmented pump therapy (74.7% vs 59.5%). However, when women used the closed-loop system day and night, and continued to manually administer bolus insulin for meals as per their usual routine, closed-loop therapy did not improve time in glucose target range during the day , suggesting that ‘prandial’ glucose excursions were still problematic. Future research using better algorithms, and/or a better understanding of how to best estimate insulin dose for food intake (accounting for the endless combinations of macro- and micronutrients) is needed. Oral glucose-lowering agents are not traditionally used in women with type 1 or type 2 diabetes during pregnancy. Given the frequent high-insulin needs during pregnancy and the fact that metformin has been shown to decrease insulin dose requirements outside of pregnancy, the addition of metformin to insulin therapy in women with type 2 diabetes during pregnancy may be beneficial. To investigate this, a large randomised trial, the Metformin in Women with Type 2 Diabetes in Pregnancy Trial (MiTy) , is currently underway. Glibenclamide (known as glyburide in the USA and Canada) has not been studied in women with type 2 diabetes during pregnancy, and neither have the newer oral glucose-lowering agents, such as the dipeptidyl peptidase IV (DPP-IV) inhibitors, glucagon-like peptide-1 (GLP-1) receptor agonists or sodium–glucose cotransporter 2 (SGLT2) inhibitors. However, animal studies have shown some adverse pregnancy outcomes with the use of GLP-1 agonists and SGLT2 inhibitors during pregnancy [31, 32]. Defined as the delivery of healthcare when a patient and caregiver are separated by distance using uni- or bidirectional voice and/or visual/electronic device communication, telemedicine has the potential for improvement of pregnancy outcomes for women whose diabetes either antedates pregnancy or is first discovered during pregnancy. Telemedicine may alleviate the burdens associated with healthcare for women who live in remote regions, as well as those in urban areas who must take time off work and arrange childcare and transportation for office visits. For these women, electronic communication of either self-monitored blood glucose or CGM data followed by verbal or video communication with caregivers offers the opportunity for a shortened time-period between data recording and timely interventions. The few systematic comparisons of conventional and telemedicine-mediated care for pregnant woman with diabetes have found no significant differences in important clinical outcomes [33, 34, 35]. In summary, while the past 10–20 years have provided newer medications and technologies for the care of women whose diabetes antedates pregnancy, normalisation of maternal blood glucose levels and reduction of adverse outcomes remains an elusive goal. The task before us seems achievable if we improve data gathering and application, motivate and support our patients’ active participation in their care, and develop and refine medications and technologies so that perhaps, over the next 10–20 years, the elusive goal of the St Vincent Declaration , i.e. that pregnancy outcomes for women with diabetes will approximate those of women without diabetes, may be achieved. The work by DF has been supported by the Juvenile Research Foundation and the Canadian Clinical Trials Network.